The Ultimate Guide to Opening Your Heart. The angels often say that walking the path of an open heart is the master path of awakening. Interestingly, it is the direct path to connecting with the angels too. In other words, keeping your heart open is the most direct and accelerated ascension path. Wherever you are in your life and in the moment, living with an open heart and responding with love is the next step in raising your vibration so you can align with increased joy, love, abundance. The path of the open heart is the direct path to creating positive change. But if you're like many spiritual seekers, you're likely wondering just how to open your heart, and what your heart chakra is anyway. You will also receive direct guidance from Archangel Metatron to support you in opening your heart now. Click the chapter titles below to jump to specific sections, or simply keep reading to learn everything you need to know about how to open your heart and keep it open now! Chapter 1: What Is Your Heart Chakra? 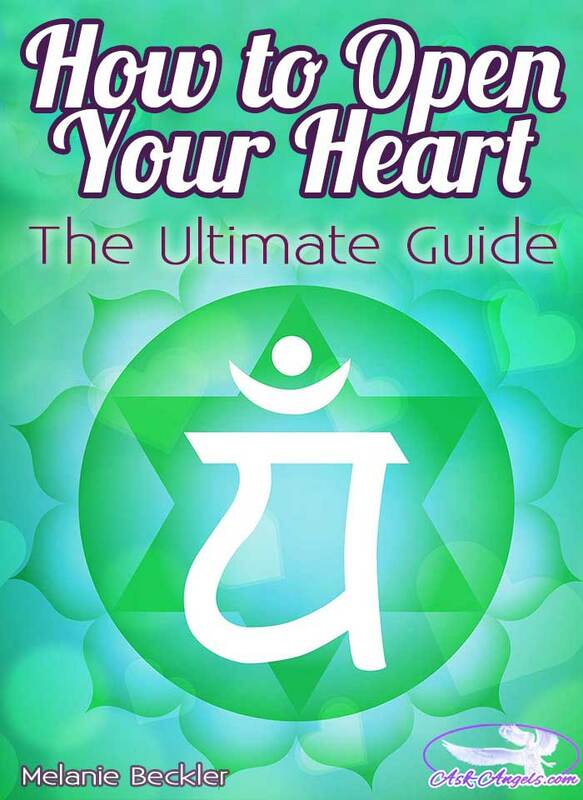 Chapter 2: How Does The Heart Chakra Become Closed? Your heart chakra is located in the center of your chest. It is through your heart chakra that you’re able to tune into universal love, transcend the experience of separation, and experience your direct connection with the Divine, and with the spirit guides, angels and ascended masters who are supporting you on your path. Your heart chakra is your link between heaven and earth. 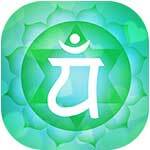 Your heart chakra is a center of healing, both mentally, emotionally, spiritually, and physically. When balanced and opened, your heart chakra helps you to see the underlying Divine order within everything. It helps you to view your life experiences through the lenses of love, and to rise above lower vibrational energies and experiences so you can live in alignment with love, compassion, peace, and balance. When your heart chakra is clear, and open, it allows you direct access to the angels and to the Divine. To learn more about Cleansing your 7 Chakras, Click Here! How Does The Heart Chakra Become Closed? For many people, challenging life experiences and relationships have led to heartache, broken hearts and then to the creation of a wall around the heart to protect it from being broken again. Heartache is the physical manifestation of emotional pain, and when you experience heartache you are actually losing power through your heart center. Heartache is directly tied to fear. You've been hurt in some way and this brings up the fear of being vulnerable. The pain is real and you do not want to be hurt again. You worry about whether you'll ever get over the heart ache and you fear being hurt again in the future. Walls around the heart are also created out of fear. Heart blockages are created consciously or unconsciously out of fear and as a way of protecting yourself from being hurt again, and while good intentioned, actually block you from the Love of the higher realms that is your birthright to tune into and experience. For this reason, a heart chakra blocked by fear and worry will actually make you feel tired, energetically drained, defensive, critical, and like life is hard. If your heart is closed you may feel attached to ideas, or other people, and you’re likely to feel separate, alone, and afraid to let go. The good news is… A closed heart can be opened, walls can be taken down and dissolved. Pain and fear can be released and Divine Love and goodness restored as the foundation of your life experience. Although you might not be fully aware of how to open your heart yet, the heart knows how to open. To further support you in opening your heart now, Archangel Metatron connects with a short message on How to Open Your Heart. To open your heart, you focus within. Imagine that you’re taking an elevator down from your mind, into the area of your heart, into the area of your chest, the center of your chest. We’re talking your heart chakra, not the organ – your heart chakra, the doorway to the angelic realm, the energetic center allowing you to tune in to divine love, and brilliance, and truth, your heart. Imagine your heart center now, filling with divine light, so that your heart is glowing, this energy center glowing with divine light, filled with the energy of love. You may imagine doors to your heart opening wide, or imagine that a small flame within your heart now begins growing brighter. Visualize light glowing in your heart center, as your guardian angel steps forward to support you in opening your heart now. As you do this, there may be painful memories that appear, challenging experiences that surface, or density that you tune into. Breathe through this. Imagine that whatever surfaces can be tossed into the light, put into a balloon filled with helium, and released, dissolved into infinite divine presence, so that you can return to love. Visualize your heart glowing with the love of the Divine, the light of God, the presence of Spirit expanding around you, to embody your entire being, the light of love, your open heart. Fully opening your heart is a process. Doing the meditations with the angels in one of the quickest ways to fully let it open. In addition, practice being the observer. Practice responding to the events of your life with love. Continue choosing love in the moment, choosing to be present with what is happening around you. Visualize light in the center of your being, as you continue to let it grow, let it expand, let light in. Letting your heart open. And now drop inward, shifting your point of focus – focusing upon your heart, the center of your chest, and dropping in. Don’t worry about how. 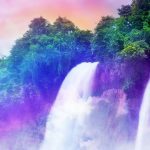 Just enter into your heart center as you are now bathed in divine love, in a violet river of light, that cleanses and purifies your heart, that activates and opens this center. Feel your heart open, know your heart is opening, expereince your heart opening now, letting God’s light, Divine light, the light of the universe shine through you. Breathe in love, letting love build in your heart center. And as you exhale, let the love expand around your entire being. Breathe in love, and exhale love throughout your entire being. Breathe in love, exhale love. This is opening your heart. It is aligning with your inner divine truth. It is aligning with the light of God, of the Divine in your heart center. This is a shift you can make in every moment. When you do, you align yourself with your highest truth, for your highest truth is open-hearted living. For when your heart is open, and your mind is clear, you are a conduit of divine presence, you are allowing the light of God to shine through you, through all that you do, your inner divine being expressing, creating, living in the physical. This is not only heart opening. This is ascension – the path of love, the path of the open heart, the master path of awakening. I am Metatron, along with Uriel, Orion, Mother Mary, Yeshua, surround you in a pyramid of light, to support you now open-hearted, in lifting, in tuning in to the divine presence here and now, lifting in light in this present moment, in love. Good. And so, it is… Thank you! When you set the intention to open your heart, the entire universe will conspire with you to make it a reality. Be willing to release fear and pain energy so you can open your heart to the love and light that awaits. With your heart open, you’re able to experience your angels, connect with your teachers in spirit, have fulfilling and rewarding relationships, and open to increased love, which cannot help but overflow blessings into all areas of your life. Click play to watch the video below and open your heart now! At the time of your birth, you came into life with your heart open wide… You were born into the physical realm, a powerful spiritual being in a vulnerable physical form, and yet you were enthusiastic and ready to take on the challenges of life. However, you quickly discovered that life can be really hard. Shortly after birth, you started to experience pain, sadness and traumatic experiences. For many people, closing the heart center has been a learned response of how to deal with emotional pain. Burying the pain, closing the doors of the heart and building up walls in response to traumatic events, challenging relationships, and feeling of a lack of love is a common response, but it’s not one that ultimately serves. Moreover, while we can bury pain from others, we can never in the long-term hide it from ourselves. So what it the solution? How do you open your heart and how do you keep your heart open in response to trauma, challenges, and the hurt and pain that happens in life? The first step is to start peeling back the layers of armor around your heart. To do this, think of a time when you truly felt happy and loved. When I first did this exercise with a soul friend while I was college, it was so challenging for me. My heart had been broken. I felt unloved, alone, depressed, and I had built up a huge wall around my heart to try to keep others out. I built the wall subconsciously of course, in an effort to keep me from getting hurt again, and to stay safe, but behind the wall, I was miserable. I closed my eyes, breathed, and struggled to look past the wall of hurt, pain, and depression to find a memory of when I really felt loved and happy. My ego mind said it was impossible. I doubted that I had ever felt loved, and I hesitated at the idea that happiness was even possible for me, but I kept searching. Tears began to flow to my eyes as I sorted through the heartbreak, loneliness, feelings of isolation and pain, and then it happened. A crack in the wall around my heart allowed a brief glimpse of a happy time in my life to shine through. My memory transported me back to my childhood, and there I was sitting at the kitchen table with my grandmother. Sheets of paper were laid out before us and little tubes of watercolor paints were scattered across the table. Bright New Mexican sunshine gently shone through the windows, and my grandmother looked at me with eyes of love and encouragement as I placed paintbrush to paper with a smile on my face. In that moment, there was no judgment, no expectations or worries, just the unconditional love and acceptance of a grandmother, encouraging her granddaughter to play with color, to express, and to create. My grandmother had passed away when I was in sixth grade, but she was alive in this memory and once again, as she had done so many years ago, she made me feel special, accepted and so loved. With this simple little memory, the crack in the wall of my heart grew larger. Tears streamed down my face and the doors of my heart slowly began to creek open. I would love to tell you that my heart burst wide open in that moment and that happiness overtook me, and my life was forever changed, but that would not be entirely true. My heart did open a little bit. But there was still so much pain there, and it was strong. It would take me years to process through it to a point of really feeling happy, but the journey of opening my heart had begun with one layer of the armor I had built around my heart being taken down. I imagined the doors of my heart opening, but it was as if they were stuck. I wanted to open my heart fully, but I had forgotten how and my mind was loud and persistent in reminding me of this. Where there was meant to be a luminescent glow of the open heart, I now had closed doors. But as I pleaded with my mind, with my consciousness, and with encouragement from the guide that day, the door opened a little, and once again, just a little bit of love beneath the pain shone through. Over time… Through meditation, reading and learning, and with practice and persistence, I was able to fully open my heart and you can too! Opening my heart and learning to listen to my heart has completely transformed my life. I am happy now, and I trust the clear guidance I receive from within. My old self would say I’m vulnerable… It would feel naked without the shields of sarcasm, jadedness, and without the huge wall around my heart. But my old self would be missing out on so many of the blessings I have in my life now because my heart is open. My heart is open, and of course, I still feel pain. I experience sorrow, sadness, and hurt. But when these challenging feelings arise, I don’t bury them behind layers of hurt. I breathe, and let myself feel the pain. I, like most people still get swept up in painful emotions and challenging situations from time to time, but by breathing, and opening my heart to allow love in, I’m able to let the challenge go. When you face emotions head on in this way, by allowing yourself to feel the pain, and then let it go, you’re able to take away its power. If you bury and suppress painful feelings and challenges, they will build up, blocking the flow of love in your life and you will experience stagnation. But if you return to presence, breathing, and allowing yourself to feel, you can keep your heart open. With an open heart, you’re able to stay in the flow, allowing growth, inspiration, and happiness to flourish. How to Keep Your Heart Open! To keep your heart open be willing to receive what life brings you. If there are challenges on your path, trust that there is a lesson and growth will happen as a result. If there are opportunities appearing in your life, say yes instead of no and walk through the doors that open before you. Also, check in with yourself and with you heart. Are you listening to your heart and following your dreams? Or are you trying to live the dream of another? Be willing to make changes to live in greater alignment with your truth, this will make it so much easier to keep your heart opening knowing you are living in alignment with who you really are. Finally, know that you do not have to suppress past pain to align with present and future joy. Actually, quite the opposite is true. When you learn from challenges, and integrate past pain and perceived weaknesses, you create the space to be a complete person. Instead of burying pain… Be there with your pain. Be there for yourself though painful times, and know that the pendulum of life swings both ways… If you’re in pain, there is also immense pleasure, love and joy which is possible for you when you open your heart to really experience, and be present with what happens in life. The path of an open heart isn’t easy, and I don’t think you will ever find anyone who says it is. But when you do meet someone on this path, they will definitely tell you that living life with an Open Heart is well worth the challenge. And the good news is… You have so much support available to you! Your angels are always on hand to help you release pain, density and suffering so you can let go of past hurts, wounds and walls, to open your heart and to love. Let yourself love. Opening your heart, and really loving is how you are able to experience the many blessings made possible for you therein. As I mentioned above, meditation has been one of my biggest allies on this path. Here are some meditations and additional resources to help you open your heart and keep it open! 1. Tune into the healing power of nature by spending time outdoors. 2. Ask your angels to support you in releasing fear and pain, opening your heart, and tuning into more love and light than you’ve ever experienced before. 4. Focus on the area of your heart center, and as you breathe and relax imagine it glowing and filling up with more light with each and every breath you take. 5. Practice being more loving towards yourself, nurturing yourself and taking care of you. 6. Allow yourself to tune into the energy of forgiveness, for yourself and letting go of the pain attached to others who have hurt you in the past. 7. Let yourself love freely and openly, not expecting or anticipating anything in return. 9. Practice yoga, use mudras, or work with Qi Gong to become present and flow energy through your being, letting go of all that is blocking your heart. 10. Work with your angels to release past pain and make changes in the present to heal emotional wounds. 11. Invite Mother Mary to help you heal and open your heart, and then be open to how her help appears. 12. Let your tears flow, and with them let any pain go. 13. Focus on the word love fully and completely. Think of everything you associate with love and let the vibration of the word love begin to expand your heart center. 14. Ask the angels to infuse your vibration with love and to help you understand what Divine love really means. 15. Breathe through whatever emotions or memories rise to the surface. 16. Give yourself permission to follow your bliss, and take steps to bring more joy and love into your life in a way that’s just for you. 17. Practice tuning into the energy of acceptance. This doesn’t mean you have to like or approve of what’s happening… Just accept that it is, and through that let it be ok.
18. Be present in the moment, letting the past be in the past and the future be in the future. Your power, and all the love in the universe is available to you right now. 19. Look for love, goodness and beauty within and around you in each and every moment. Fully opening your heart and walking the path of the open heart is an ongoing journey. Take it one step at a time from wherever you are now. In the moment, work to open your heart and allow love to flow through you and through your life. Respond with love, and know that in this, there is no limit to the blessings and awakening you can experience, and there is no limit to the inner bliss and truth you can discover. Check out 21 Easy Practices for Heart Healing here! Indeed dear one I am here. I am Orion, and I honor the light in you. I honor the love in you, the truth, the peace and the joy which you encompass. These are your traits, characteristics, and ways of expressing your truth. The truth being, that you a divine being in physical form. You are light, you are spirit, and you are energy. You are one with Source, God, Universe… And you are able to reconnect with this divine inside of you, through opening your heart. I am pleased to assist you in doing this now through a simple Open Heart Meditation. And so to open your heart, simply focus your awareness inward. Breathe, relax, and begin to notice thoughts that appear on the canvas of your mind. Become aware of thoughts that are spiraling around in your mind, and then let them go. Breathe, quiet your mind, and choose to turn away from the ego mind. Instead focusing on just being, just breathing and enjoying this very moment that is right here and now. I can assure you, that you will continue to have thoughts that appear as you meditate, and that’s okay! Your ego will continue to chime in, and it will try to scare you, to judge you, and to distract you… And this to is okay. Let it be okay, release thoughts as quickly and easily as they appeared and return your awareness towards your breath. Yes, your ego is loud, yes your ego is judgmental, yes your ego is afraid. But know that you are not your ego. This loud, judgmental, fearful and worrisome voice of ego is not you; fear is not even real, it is false evidence appearing real, but in reality only love is real, and fear, ego and doubt can all be wrapped up within the narrow confines of illusion. I urge you now, to look away from the ego mind. As the voice of ego comes into your awareness, simply observe it, and let it go. Choose rather to tune into the awareness of the part of you that is the observer. The higher vibrational aspect of you that is one with Spirit, one with the Divine and is able to look down at your life with compassion, and love to simply view, witness, and observe the events of your reality in a way that is free from judgement and attachment. As you breathe, relax and observe, continue to release the thoughts that appear. And now drop your awareness inward, shifting your focus further inside, into the area of your heart chakra. Feel your point of focus moving down from your mind, and into your heart. Just breathe, relax, and allow your heart to open. It is normal, for you to feel emotional during this process. 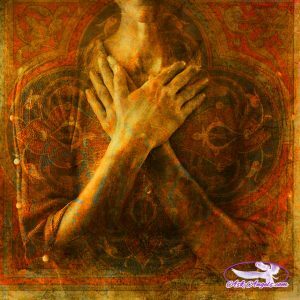 There are many of you who have not opened your heart in years, and so you may meet some resistance from your ego, or encounter fear, judgment or even emotional pain from a past experience that caused you to close your heart in the first place. Know that you are safe in opening your heart now. Release thoughts as they come up, into the light, and return to simply focusing on opening your heart. As you do this, your energy will begin to lift. 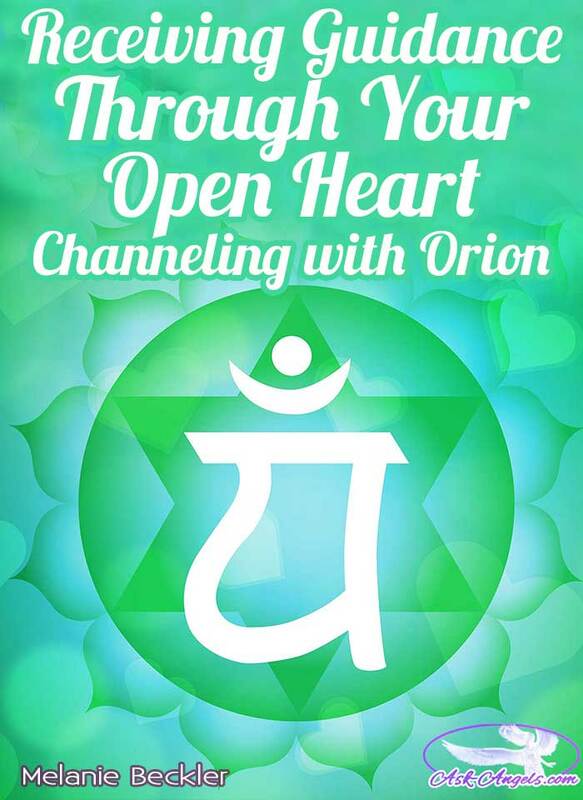 I Orion am sending you love and sending you frequency to support you in this process. By opening your heart, you gain access to the knowledge of your Higher Self, and to the divine blueprint for your life. This is the detailed plan your soul set out to accomplish before you were born into this reality on Earth. Your birth was not the beginning of you, rather, before this birth, you chose your parents you chose your experience, your physical characteristics and you did so with purpose. As a soul you chose to be here now with intention, to learn, to heal and to accomplish a specific, and meaningful purpose. Although you were born into reality under a veil of illusion causing you to forget these plans and causing you to forget your true nature your divine origin and essence, you are able to return to this knowing now, by opening your heart. By looking within your inner realm and by being open, being willing to hear to see or to know the true message, the true you. I will tell you it is love. This may seem overly simple at first, it may seem basic or obvious, but know that this is often the way that spirit and your higher self will speak to you. Focus on your heart, quiet your mind and notice the answer you begin to receive. It may be; To learn and to grow. It may simply be to love, or it may be something very specific, and something more. Pay attention and know that whatever answer you receive is perfect and is divinely guided and exactly what you need to know right now. It may simply be a loving feeling or a slight relaxation, so don’t worry, or doubt, or shift back into the resistance from the ego if you feel like you’re not getting anything at all. Trust in the feeling of love you receive, embrace this. Reconnect to this energy of love, the light of the Divine and of your soul through your heart often for as you do you will receive more specific more pointed guidance leading you back to your path. The open-hearted path guides you into alignment with your purpose and towards fulfilling the reasons why you came here to earth. You are unique and special, and by tapping into who you really are by opening your heart you align yourself with accomplishing your highest purpose, your divine purpose. Trust that you have one. Trust that you are divine. And trust that by opening your heart, not only are you safe, but you are assisted and guided in returning to your full truth and authentic power. Open your heart, and know that as you do, you are supported, protected and so loved. P.S. Was this Ultimate Guide to Opening Your Heart helpful for you? Do you like the Ultimate Guide Style posts? Leave me a comment below… I love hearing from you! Hi Melanie, yes i enjoy the ultimate guide style of this post. This post is awesome! This website is amazing and thank you for this, and thank the beings that help create this beautiful place on this internet that is ask angels. Thank you – can’t hear this information/these reminders enough – really working on loving self, being in the moment accepting what is, and loving unconditionally right now…sending love & light to all. You are amazing, love you so much. You are sending never ending stream of so much useful material for uplifting oneself and it is so simple to follow……. I fill blessed to come across your site and have introduced many like minded to your site. God bless you and keep doing great job. SO POWER FILLED, SO VERY VERY BEAUTIFUL…THANK YOU MELANIE AND THANK YOU ANGELS! Hi Melanie! I just wanted to drop you a note and let you know how much I am enjoying all your information and meditations. It is very strange, but when I listen to the meditations my legs begin to randomly spasm. It doesn’t happen any other time. It does distract me however. Have you ever heard of this? Once again, thx for all the good stuff & you look great in that picture that I assume was taken in Sedona (one of my very favorite places). Thank you for all your inspiration and messages I am quite overwhelmed with all your information and downloads it will take me till Christmas to catch up. 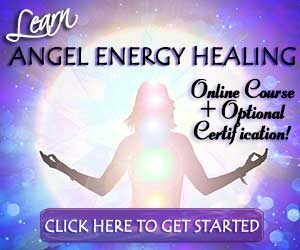 One thing I have to mention, which I find extremely weird, is every time I listen to one of your downloads of angel meditations, I get these crazy, relentless leg spasms. What do you think that is? the badness coming out of me? lol Honestly, they are driving me crazy but I enjoy the meditations SO MUCH. Thank you for everything! I am so depressed as am in so much pain don’t no how much more of this pain I can take.i suffer with rhuematiod arthritis .am felling so sad ? Can you join a support group filled with people going threw the same health issues? Try not to focus on your condition and pain put youre attention on habits and lifestyle to help figure out what helps you the most and go with it.. Write it all down try different vitamins meds meditation exercise foods and daily activities to see what helps the most or keeps your mind focused on other things..
Linda, My daughter has JRA since the age of 2. I had to give her injections of methotrexate to get it under control and then get her off of it ( she fought me often, it was painful as a mom) She learned to eat healthier and listen to how her body responded to food. She learned to meditate and visualize pain leaving her body like birds pecking at the pain. We always tried to do fun things on the days she felt good so her mind would be clear and free of pain and depression. So she had fun events to remember… I hope you can do the same for yourself. It’s not easy but start small and build up to more fun things. Keep a gratitude journal and write down 3 things you are grateful for every day. I had my daughter do that too. It helps the mind think better. I send you prayers of strength and healing. Try not to think about the pain and do something fun for yourself. Thank You, Melanie…This guide is life-changing, a clear answer to my prayers. Blessed be! Thank you so much!! Thank GOD for your massage. Yes I love to reading your messageand Guide style post open my mine Thank Q. Thank you it made sense you really helped me. Your message is overflowing with love and care for humanity.Thank you. Melanie, You R Truly a 1 of a Kind.. I love reading your emails. Every time I get the next. They just get better, and better. Don’t have them work youbtoo hard. Stay Pure. Thank you melanie,I always look forward to receiving mssg from you!thank you! Thank you.It was as if you was describing me.I have been very hurt over and over again for far too long.I am very blessed because I have seen Angels since I was 3 years old and at the same age I also connected with my spiritual guide.I am also a highly sensitive person!!! thank you melanie I am in pain I have just lost 2 people that I love so much I wll try to open my heart. I am sorry to here of your loss.margaret…time helps you to think about all the joy you had with these people…and it’s OK to cry it’s ok to feel pain it’s ok…and in time you will see I am right..wishing you warmth and happiness in all you do..here is a virtual hug I think you need it.. Thank you Melanie. I closed my heart thirty three years ago as I hurt a really true friend. I built this wall around me not letting anyone get to close to me. I felt no love, no hurt, no emotions. I lost my dad 12 years ago and still have not grieved. Eight years ago my brother in law passed away andstill no tears. Ihave jjust lost my dearest mom, I have cried but that Is all. I have a very special husband and three beautiful children but this wall is still around my heart. Thank you for these will try to open my heart to forgive myself to love and be happy. Dear Melanie, with each day I find myself looking forward to your emails. The wisdom and messages of guidance you offer so lovingingly. Your hearts walls email was so apt to whom I have become. May you always be surrounded in love and bright light. Thank you so much! And may all that love and bright light continue to sparkle around you also! Hello Melanie, While reading your post I felt light you were speaking to me directly, with everything that I’ve been through all my life from childhood to now,suffering, sadness, thraumatic experiences, I’ve been through all and its not stopping, I hope, pray, and ask god and the angelsto be able to make feel happiness, love and complete one day, I ask everyday …so your kind words are very conforting, and will try the meditation, god bless you… just listening to your voice and messages is conforting… Love Caterina. Thank you Melanie, when someone knows something it will be what it is in his or her mind or sight, but when you don’t known that’s where you will been scared,I have not seen someone saying the foundation of this house is strong or fine but always saying this house is fine I like this house what if I can be the owner,thank you Melanie for your direction I always meditate every day because that,s my key that is always available. Yes Melanie this was very helpful so thank you ☺ now the challenge is to find a memory where I feel loved. Like a few others in this comment string, I don’t remember such a time. The good news is, there is infinite love for you from your angels, teachers, and helpers in Spirit… You can skip to tuning into their love directly if you’re not yet able to see any signs of being loved in this physical reality. Start tuning into the love of Spirit, the love of the Earth, and the immense amount of love you can give to yourself. I am so happy to recieve this message. It makes so much sense to me and clears up some things that were unclear. I’ve opened my heart a lot the last few years, and this shows me there’s so much more to do. So much more love to give and receive again in my life. Like I did as a child. My Grandmother taught me how to love. I’ve been busy unlearning. Thank you for reminding me of who I really am! Thanks I love the message on opening your heart. I had closed my heart a few months ago because of a relationship that ended. I was really hurt because the person I loved had made promises to me but later ended up breaking them. I was truly hurt & never thought I would love again. I met some1 who has managed to take the pain away & helped me to open my heart. It wasn’t easy because I still loved that other person. I m glad that I v learnt something. It’s a wonderful message & I enjoyed previous messages too. Although it is not easy living with an open heart that is what I am now doing. What I find the most difficult is feeling pain as it arises. However, since I’ve decided to live with an open heart, I’ve never been happier! Thanks for your words of wisdom, there is so much truth, that opening your Heart after so many hurts, losses etc, will be difficult. But, you have to start somewhere. I know my heart has been locked up for a long time, but just starting to open that lock brings back many emotional situations. Thanks for the advice on how to get this started. God bless you this is an in-depth knowledge and thanks for sharing this. HI Melanie, Thank u very much for the readings, it is truly amazing & I appreciate your loving messages that you give to help me to open my heart & start loving myself & those around me, looking forward to whatever comes my way once again Namaste. Thank you dear Melanie for sharing, I am trying to open my heart and am right now so very emotional, cry easily and feel very vulnerable. Thank you for sharing, now I realise its just normal…letting old pains and fears go. Looking forward to what will come after pain is gone! Much love and thank you also for all free meditations! Hi Melanie!The post was not only helpful but also very inspirational!! It gives strength to know you are not alone. And it was right on time….I mean it came as a sign.It carries lot of power and courage! !Thank you ! !Light,love and blessings. Perhaps a clearer meditation other than the memory which is wonderful but can be sad to those of us who were truly never loved as a child, one can meditate on the solar plexus using a mantra, Christ, Krishna, whichever deity you connect to love and picture the yellow light of healing slowly expand to pink enveloping your body and aura Then meditate on those that you love and think of why and you will realize the truth. They loved you too. Thank you Melanie for your dedicated work, it is such a blessing!!! I realized it is not that hard to open your heart, for me it is mainly letting go of what I am holding on to. The heart’s natural state is; to be open, when I let go it naturally returns to it’s original state- that easy – the question I ask my self, am I ready to let go of what I am holding on to. The trick for me is to check constantly -what are my fears that I rather choose to hold on to than to let them go. Than you after reading your message I realised I am not the only one and May be one day with the help of my angels and meditation, I too can learn to love and be loved. This is a good article. Thank you. I’m going to try a few of your suggestions and see if I can find out what’s blocking me from opening my heart. The beauty of God & the experience of life free will. When you share your hurt,you release your pain. This pain on this plantary experience is designed to imprison you with illusions of suffering but it is your soul the controls your immediate surrounding none other. You have absolute systematic control over each cell in your physical body and God blessed you with Authority to choose LOVE. You came prepackaged with an open heart and mind. No struggle just choose it . Just choose Love. Good luck ascending masters are all watching our progress and we are doing wonderful. God Bless you and be well. Thank you for this wonderful message, it comes at a perfect time in my life right now with dealing with sadness, etc. Before I even got to the part about your grandmother I closed my eyes and my deceased grandmother came into my mind from when I was a child and the happiness she brought me. The tears rolled down my face and I became happy. Thank you so much. Thank you for the open your heart message Melanie. This is something I need to work on. I feel as though I am isolating and shutting down. thank you! In every meditation that says to open your heart, I wondered how to do that! Thank you for ur enlightenment message to the people on earth. May God bless u always. Your message really touched a nerve. You’ve broken down my wall. I can’t stop crying. The wounds still hurt. Thank you for the message. Thank you just what i needed to hear. You are a blessing!! Thankyou for your comments it as helped me in many ways. Thank you Melanie, for that explanation. For a long time my heart has been hidden and protected. It is so challenging to try and get it to open up. I know I have been fully supported by the Angels in my processes to try and open it. Your message above has inspired me to try again and up my efforts. I love using your guided meditations to help facilitate my connection with the divine. Thank you – two simple words that hold so much more in gratitude than they simply seem to express. Thank you. This is just what I need. Look forward to listening to the meditations and hopefully get through all my blocks to open my heart. Melanie.thank u very much for message on angels&letting love in.tThis information i just read is exactly what i need to hear.Im goiing thru pain rt.now.U helped me so very much.Blessings to u in Abundance.